Vertical video is on the rise – and brands can’t afford to ignore it much longer! Imagine you’re at a huge sporting event, or a gig watching your favourite band. You’re not content to simply enjoy the moment in the here and now. You want to preserve the memory – save it to be revisited and re-enjoyed in future. So, like millions of other people around the world in their most memorable moments, you pull out your phone, fire up the camera, and hit the ‘Record’ button. Now, freeze frame. In your mind’s eye, ask yourself: how are you holding your phone? If you’re like the majority of people, you’re probably holding it vertically, in portrait mode. Which means you’re playing your own small part in one of the great media shifts of our generation: the unyielding change from horizontal to vertical video. There was a time when publishing vertical video would have attracted widespread mocking and derision. Vertical video producers were seen as rank amateurs, their content undermined, their message lost. No history lesson is needed to know that, for generations, video footage in its various guises has been ‘horizontal’ or landscape. Our television screens, cinema screens, computer screens have all traditionally followed suit. Only recently, with the phenomenal adoption of smartphones – both their ability to record and view video in portrait mode, and consumers increasingly preferring to do exactly that – has this status quo been challenged. But it is being challenged, and challenged in a huge way. It’s a trend that brands can’t afford to ignore for much longer. 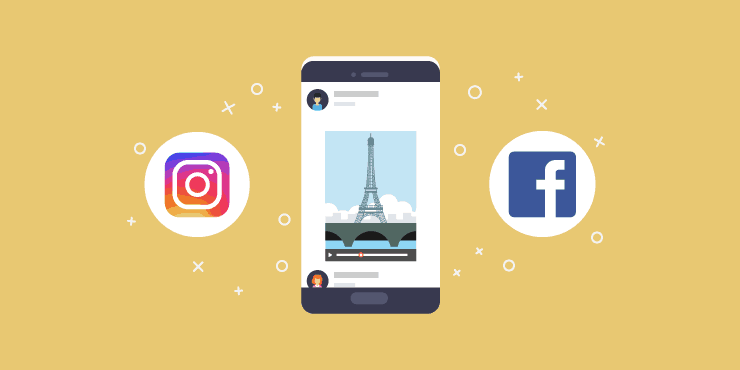 In this article, we’ll be taking a look at 5 reasons why you NEED to start using vertical video on social media, sooner rather than later! We hinted at it in our introduction, but when it comes to mobile phone use, vertical is king. 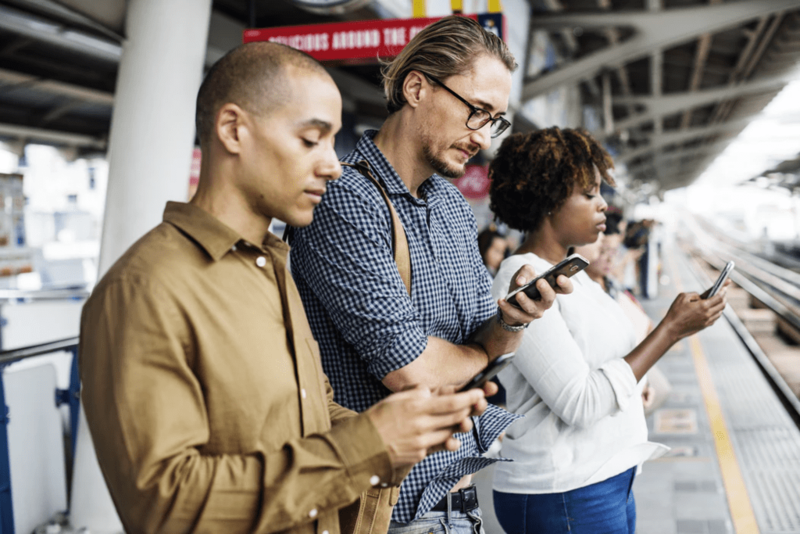 Studies suggest that we hold our phones vertically an almost universal 94% of the time, whether banking, chatting, calling, scrolling our news feed or – indeed – viewing videos. You wouldn’t expect your desktop or laptop viewers to pick up their screen and physically tilt it in order to watch your video content in full-screen…so why is it a reasonable thing to expect from your mobile viewers? One of the interesting things is how quickly this trend is developing. Back when the ‘Vertical Video Syndrome’ video was at its peak popularity, mobile video views only accounted for around 14% of all video views. Of course, vertical video seemed ridiculous because it catered to an audience that hardly existed. By the first quarter of 2018, that number had risen to a phenomenal 58% – which just shows you how quickly and dramatically this change has taken place. What’s more, there’s every reason to believe that number will grow over coming years as the phenomenon of mobile video continues. When trends and features are incorporated into the ‘big’ social media channels, they quickly become established as social media norms. Trends become accepted, and eventually, expected by audiences. Vertical video has now been accepted and rolled out across all the major channels, to the point that horizontal video on mobile now often seems strange and jarring. The tables have truly turned. Snapchat has often been credited with pioneering vertical video ads, but Facebook and Twitter weren’t far behind, rolling out vertical ads in September 2016 and March 2017 respectively. More recently, YouTube launched a dynamic video player in its mobile apps that automatically adjusts to content in different aspect ratios, on iOS (December 2017) and Android (March 2018.) 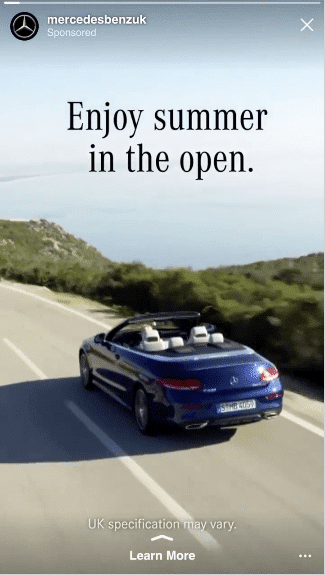 In late July 2018, YouTube’s new desktop player was launched which does away with the black bars so gleefully mocked in the Vertical Video Syndrome video. Vertical video has become so normalised that it’s even making its presence felt on desktop! Vertical is also central to Instagram’s new venture, IGTV, which allows video content up to 60 minutes long – but it HAS TO be vertical. Indeed, speaking at Advertising Week earlier this year, Instagram’s head of business Jim Squires talked unequivocally of living in a ‘vertical world‘ – further proof that the future of Instagram, and social media as a whole, lies in that direction. Bottom line – on pretty much any social media platform your brand is using,vertical video functionality is available, and, increasingly, expected by your audience. 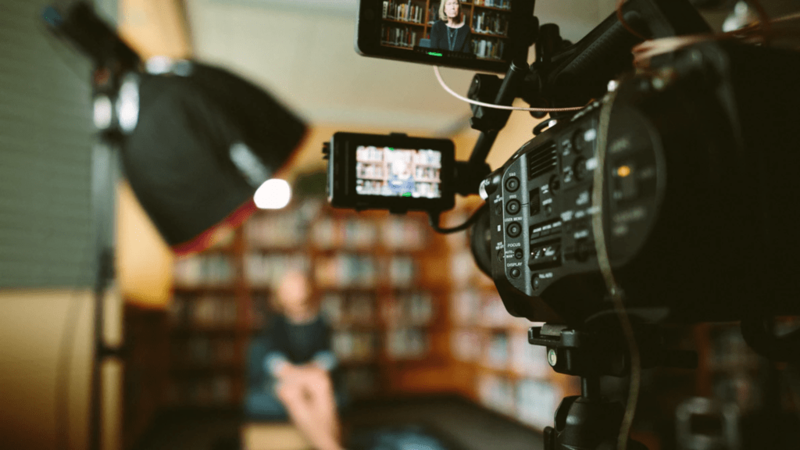 We all know that marketing comes with an element of ‘Keeping up with the Joneses.’ New video technology, like any innovation, requires its pioneers – big brands willing to put their head over the parapet and take a chance on it. These things almost always trickle down from the big brands to the little ones. New trends like 360 degree and interactive video, for example, are incredibly exciting, but it’s taken big brand pioneers like John Lewis and Tipp Ex to set an example to the rest of the market and demonstrate their real-world potential. Yes, exciting tech is exciting – but as long as the big brands leave it untouched, it remains a fringe, slightly eccentric thing that isn’t taken as seriously as it could be. Yes, there’s potential… but potential alone generally won’t convince mainstream marketers to dip into their ad budgets. That’s why it’s fascinating to see some huge brands jumping aboard the vertical video train. Make no mistake: these companies are giants. They spend enormous amounts of money on marketing, they have industry-leading professionals at the helm and they don’t make many mistakes. If they’re investing in vertical video, you can be pretty sure it’s a safe investment. As industry leaders continue to invest in vertical video – and gather returns on that investment – it’s almost certain that smaller brands will follow the trend. And, as they do, that further increases the audience expectation that your brand does it too. Of course, you aren’t just going to invest in a marketing technique because everybody else seems to be doing it. You want to be sure that you’re reaching out to your audience in a format that gives you the best possible chance of engaging and converting them. You’ll be interested, then, to know that some of the numbers around the performance of vertical video on social channels are pretty staggering. Snapchat may not be the fulcrum of business video it was once tipped to be, but it’s interesting to note that, of the 10 billion plus vertical video views per day on that platform, they’re watched, on average, 9 times more than their horizontal counterparts. There’s also evidence that consumers just have a positive gut feeling about vertical video. According to Facebook Business, 65% of consumers consider brands that advertise with vertical video ‘more innovative’ and 79% of ‘novice video consumers’ prefer the vertical format and consider it more engaging. Hey, don’t knock those novices – they probably make up the lion’s share of your audience! The consensus here seems to be not only that vertical is great for your video metrics – but, moreover, it positions you as an innovative brand at the cutting edge of the latest marketing techniques. What this means is that it’s highly likely the majority of social browsing is done on phones…and the majority of phone use, as we’ve established, is vertical. Ergo – social media is, increasingly, a vertical phenomenon. And, from a UX point of view, you really need to consider that when publishing and sharing content. Just imagine you’re scrolling your timeline on Facebook, for example. You scroll vertically past through the various pictures and updates – then you spot a video thumbnail. Tapping the ‘Play’ button isolates playback from the rest of your news feed. If the video displays in landscape orientation, you have to choose between watching a small version of it, or flipping your phone to see it full-screen – which is a wholly unnecessary step in the user experience. This may sound like a tiny thing to be concerned about, but the whole field of UX is preoccupied with this kind of minutiae, and it’s a HUGE industry. Why? Because it’s competitive out there – and these small decisions all add up to big determining factors in success or failure.. In simple terms, it means rethinking the way you do video on social media. It’s time to take a step back from doing what you’ve always done, and consider that your audience is now predominantly browsing vertically. Your videos should match that experience! It means challenging a lot of popular logic around social video production. If you film video blogs, for example, every ‘how to’ guide will teach you that you need to hold your camera or mount your smartphone horizontally. It’s time to start at least trying the alternative – and analysing how vertical video works in comparison. In closing, perhaps it’s worth referencing that famous video from 2012. 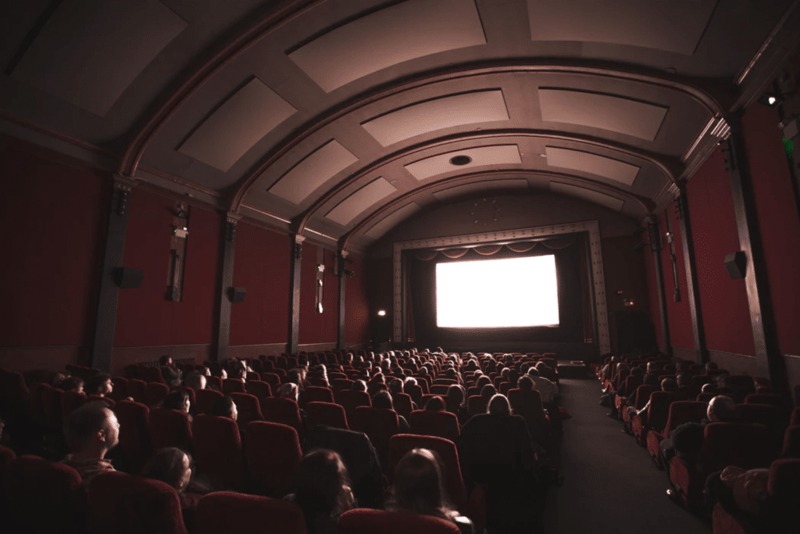 Maybe those guys were onto something with their talk of ‘Vertical Video Syndrome’ – because it’s taken hold, it’s spreading fast, and it looks like it’s here to stay. And – while it may not have seemed it back then – that’s actually a very good thing for businesses and their customers. Check out our free guide ‘How to Build & Grow an Engaged Social Audience’ for more awesome tips and tricks to help you excel on Planet Social!